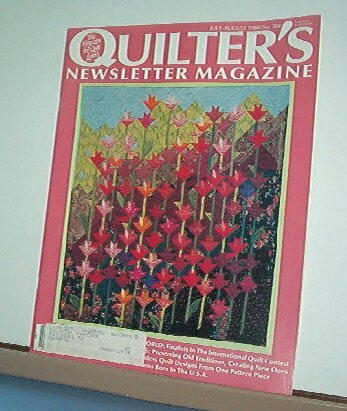 This is in excellent condition and has all kinds of good ideas for creating your quilt masterpiece. Good instructions, patterns, drawings and full color photographs. 8.5 X 11 about 75 pages per issue. May have a scrape on the front where the mailing label was removed, otherwise clean and bright and complete.